Kanthal Coils - Due to its low cost and ease of use, it can be said to be the most popular coil. Kanthal is the most popular product among many top suppliers. It is used for wattage mode only. Stainless Steel - S.S. coils have a faster ramp up than Kanthal and tend to last slightly longer than Kanthal coils. Extremely flexible, S.S. coil can be used with wattage and temperature control mods to provide intense flavor. Nickel (Ni200) Coils - Nickel can heat up faster than Kanthal / S.S. However, due to its ability to melt at very high temperatures, it is mainly used for temperature control mods. Titanium Coils - Mainly used for temperature control mods, thanks to its ability to quickly heat up and cool down. 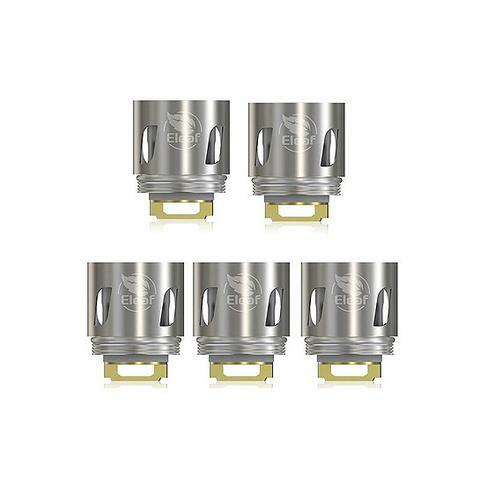 Most popular manufacturers of pre-built coils use titanium as a temperature control mod because they can also be used in wattage mode device and help to make full use of heavier VG e-juice.